Join us this year for our wildly popular murder mystery dinner with Atlanta’s best “Dinner Detective” Show. 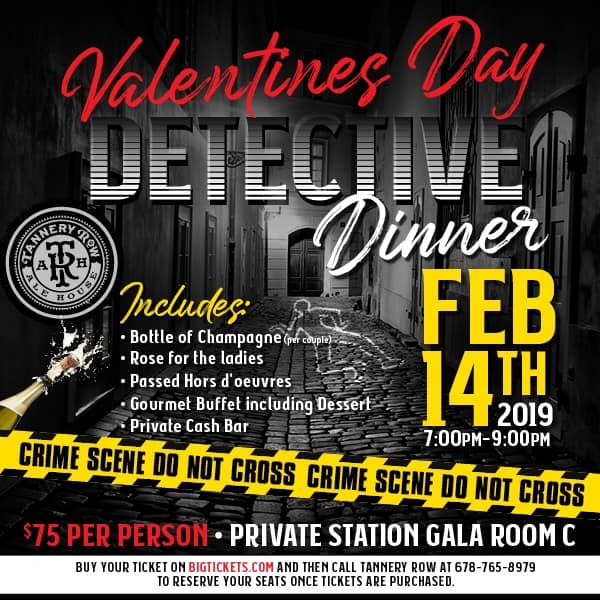 Tickets are $75 per person or $150 per couple which includes a bottle of champagne, a rose for the ladies, gourmet dinner & dessert buffet and private cash bar. Tickets will sell out so buy yours today!